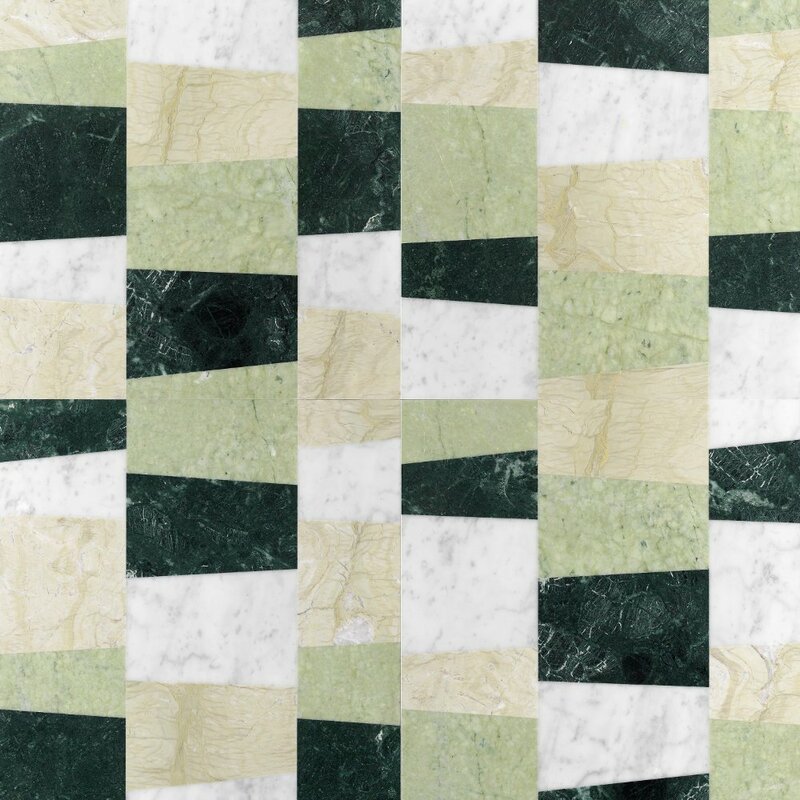 We are obsessing over the GREEN Trend right now here at Marble Trend. 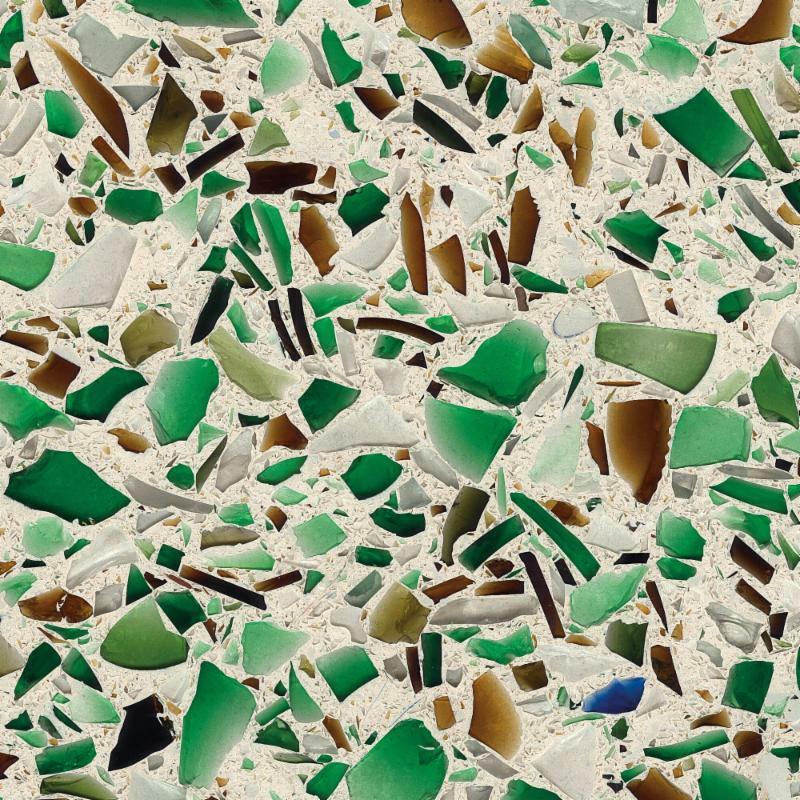 We have noticed an increase in requests for GREEN products, from Terrazzo to Stone Slabs to Glass to Art and Furniture and more. 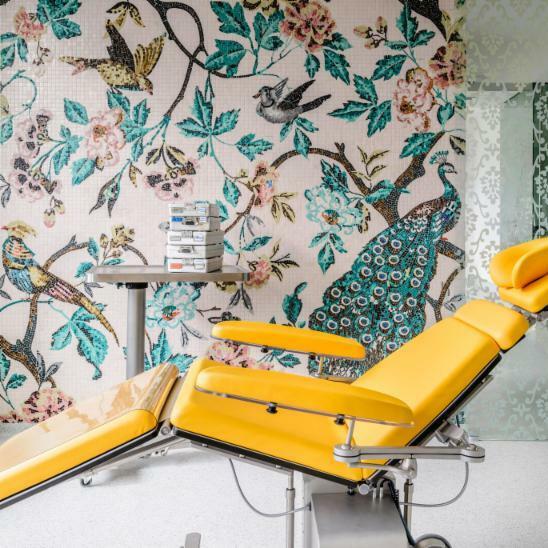 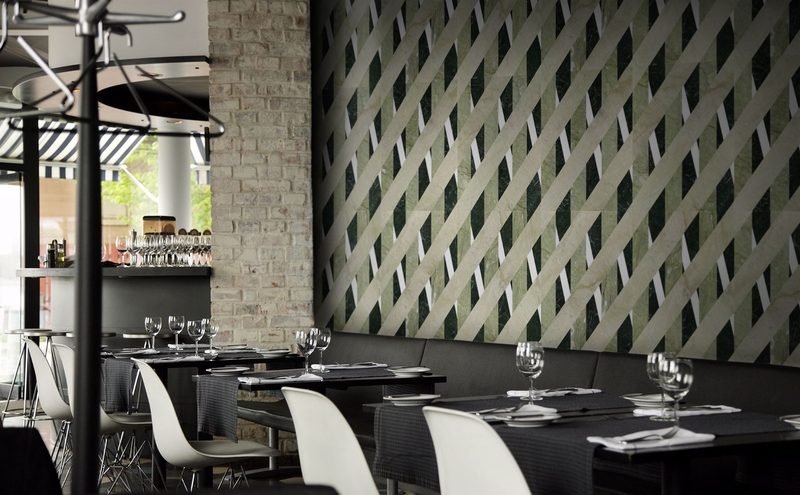 Lithos Opus is a revolutionary collection of design marble tiles, the cutting-edge proposal for luxury wall and flooring by Lithos Design Primes. 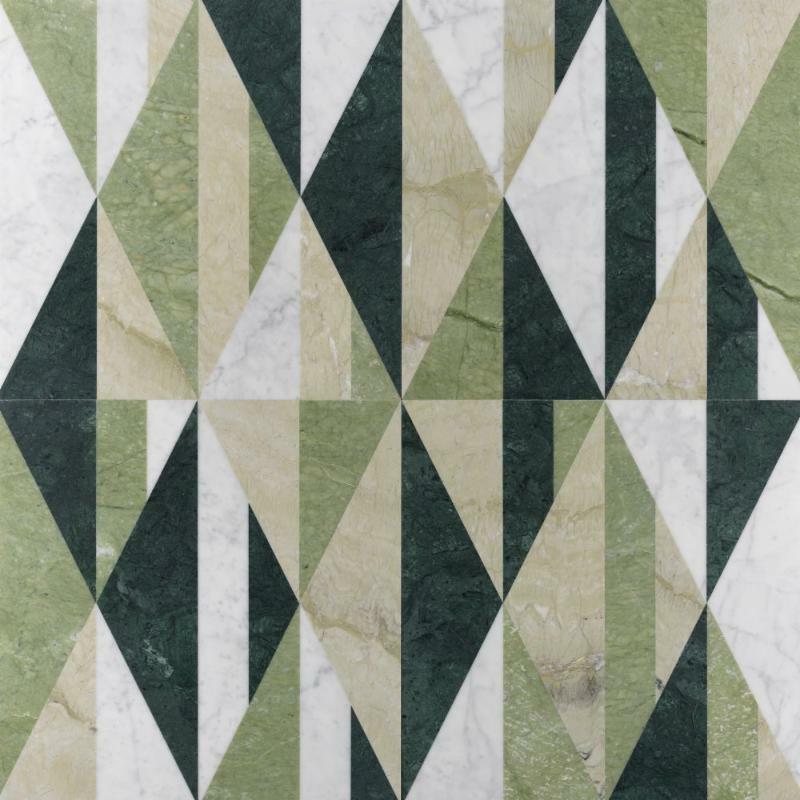 The designs, the nuances and the productive approach of this new line literally break down the classical idea of marble inlay work and its use in the field of decoration for floors and walls by driving innovation. 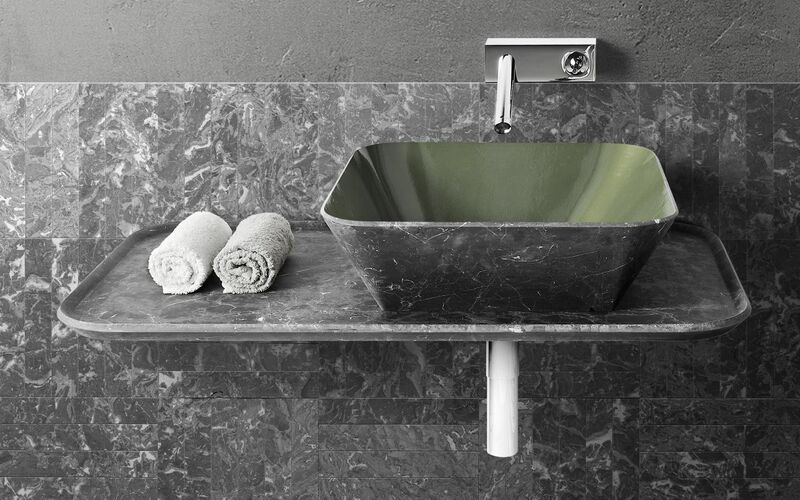 Kreoo is the leading line of Italian handcrafted luxury marble furnishings. 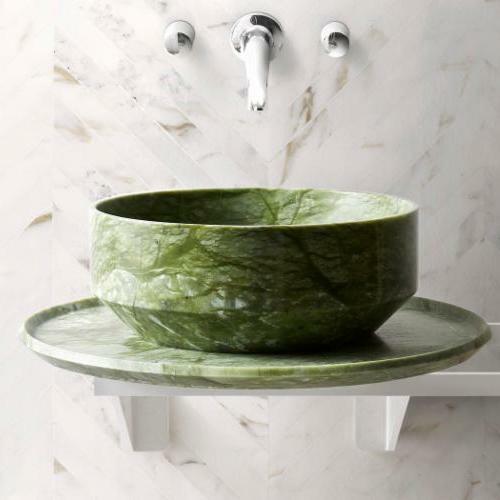 Kreoo features natural stone sinks, seating, wall coverings tables and other accessories. 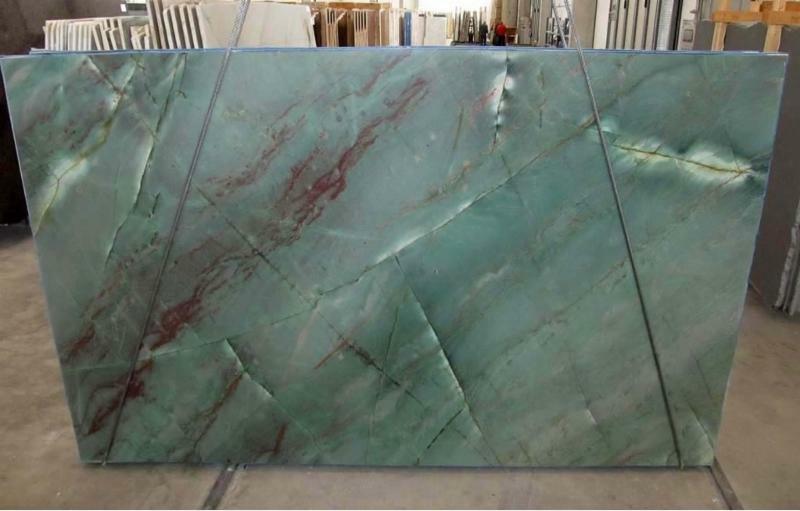 Products are also available customizeable with RAL Paint Interior Options and GREEN is definitely a popular paint choice! 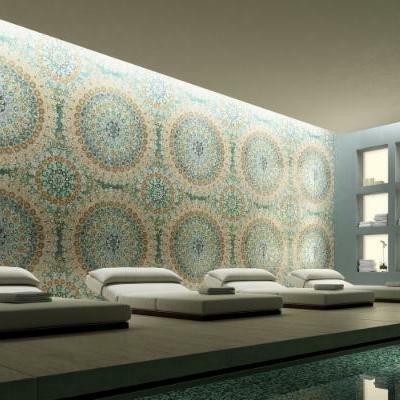 Trend Glass is the world’s leading producers of full body glass mosaics. 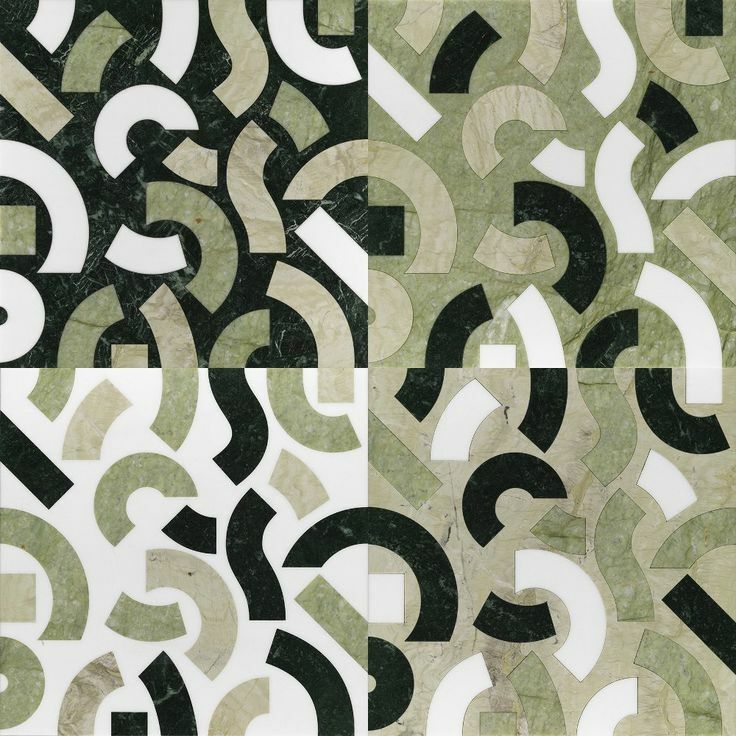 Demonstrating a unique ability to synthesize the essential principles of Italian tradition with dynamic creativity. 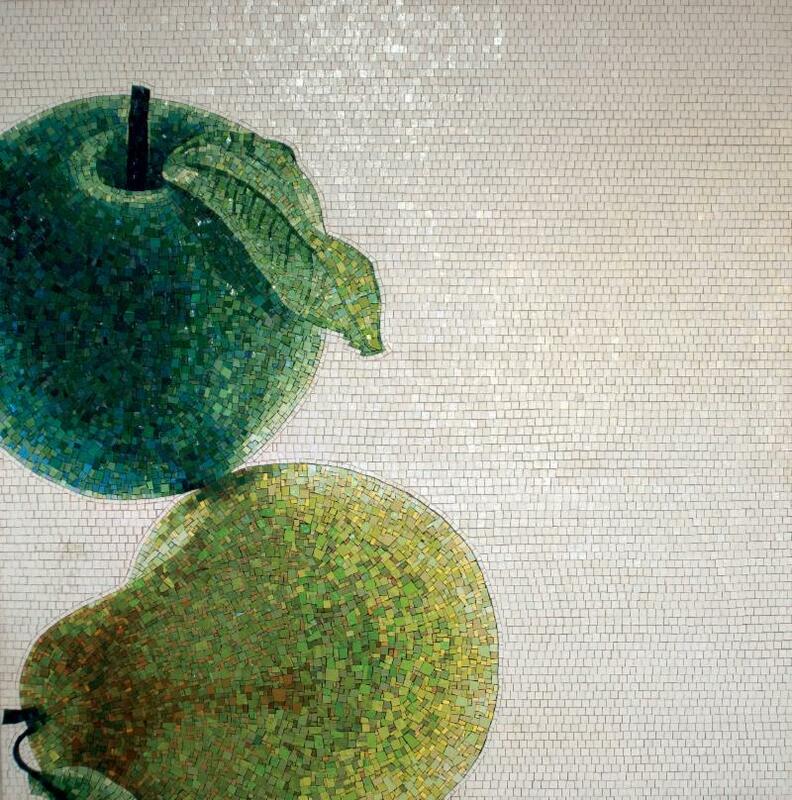 Trend Glass Mosaics are customizable to create wall art murals for any design vision you may have. 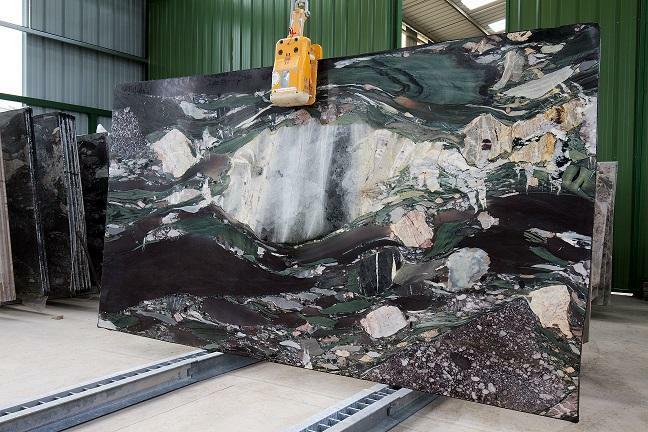 Marble Trend has been a leader in the Natural Stone Industry for over 30 years. 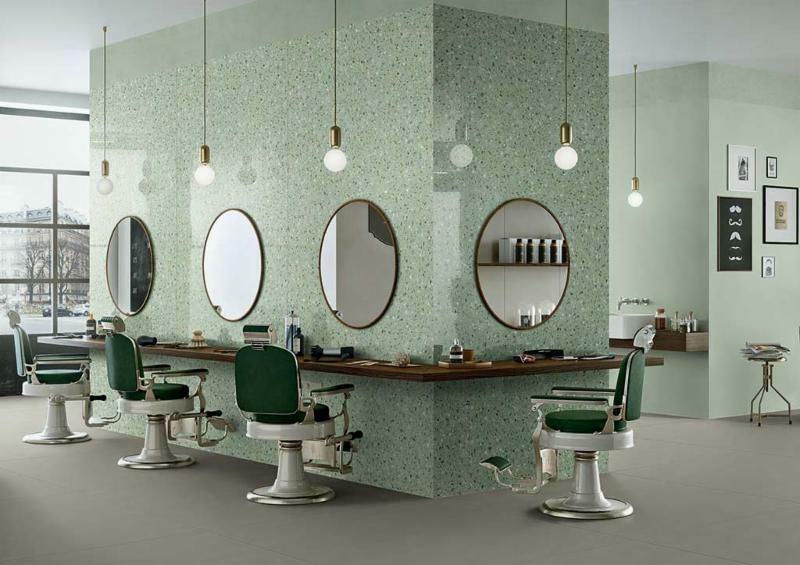 Green is definitely a trend that we saw in the 80s and we are so happy to see it coming back! 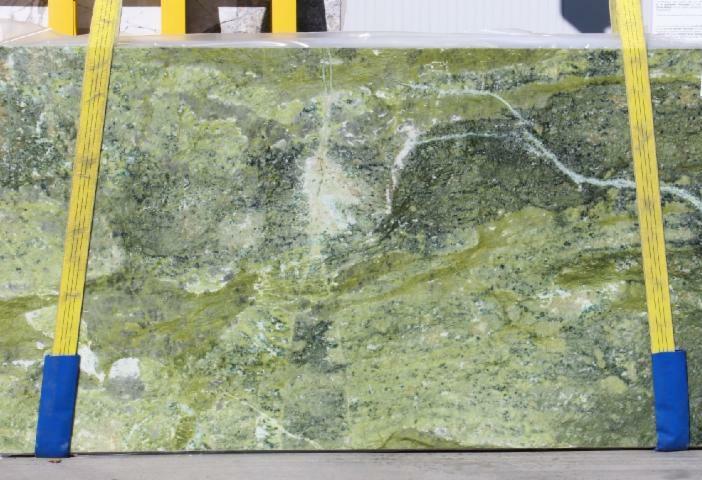 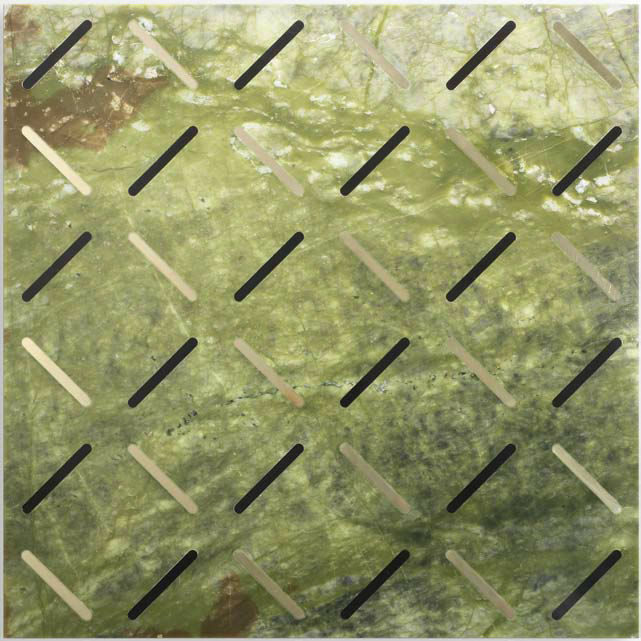 Green materials range from marble, onyx, granite, semi-precious stones and more! 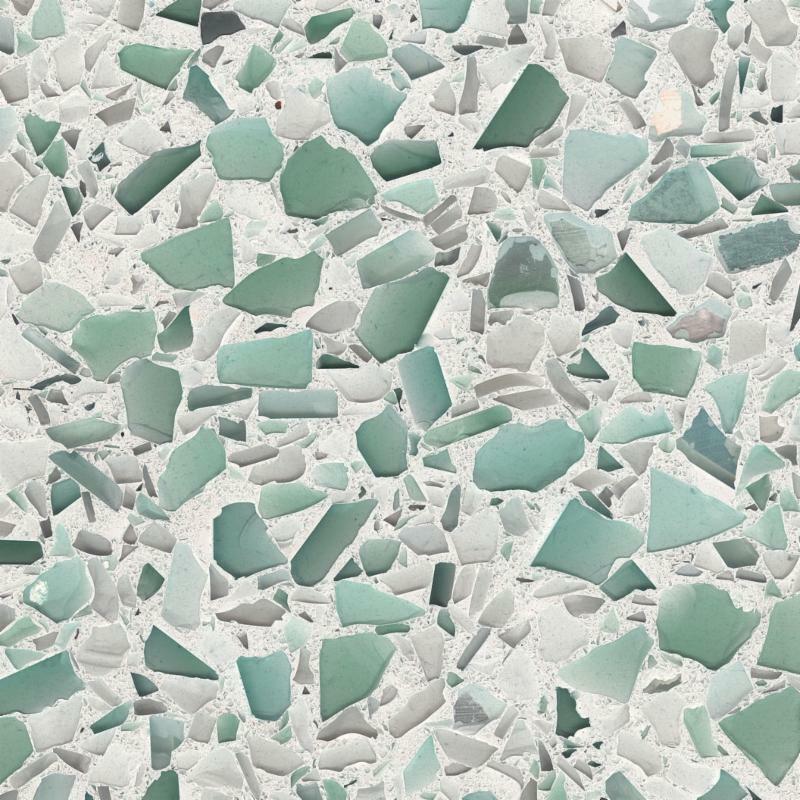 Vetrazzo Slabs and Panels are unique handcrafted surfaces made with recycled components such as beer, wine and vodka bottles, condiment jars, oyster shells, mother of pearl, traffic lights, windshields and more.